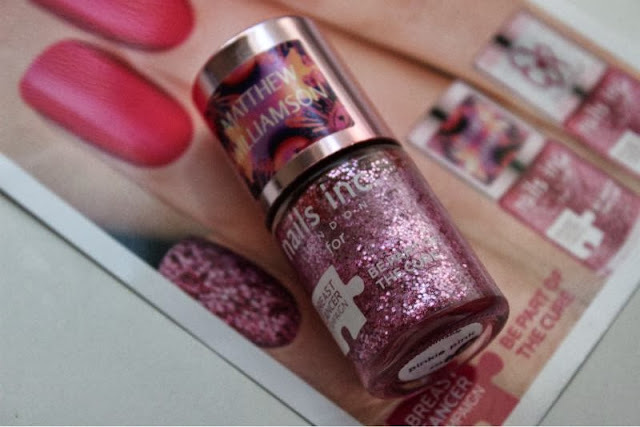 To support Breast Cancer Awareness Month Nails Inc have partnered with both fashion designer Matthew Williamson and model Poppy Delevingne (Cara's older sister) in order to create a limited edition polish exclusively for Breast Cancer Research Campaign. The shade Pinkie Pink is the the limited edition shade and there is two cap labels to choose from each designed by either Williamson and Delevingne. For each bottle sold Nails Inc will donate £1 to the charity but what's more they will also donate an additional 25p for every tweet or instagram photo featuring Nails Inc Pinkie Pink Polish and the hashtag #SPOTTHEPINKIE to @nailsinc @BCCampaign on twitter and @nailsinclondon on Instagram. 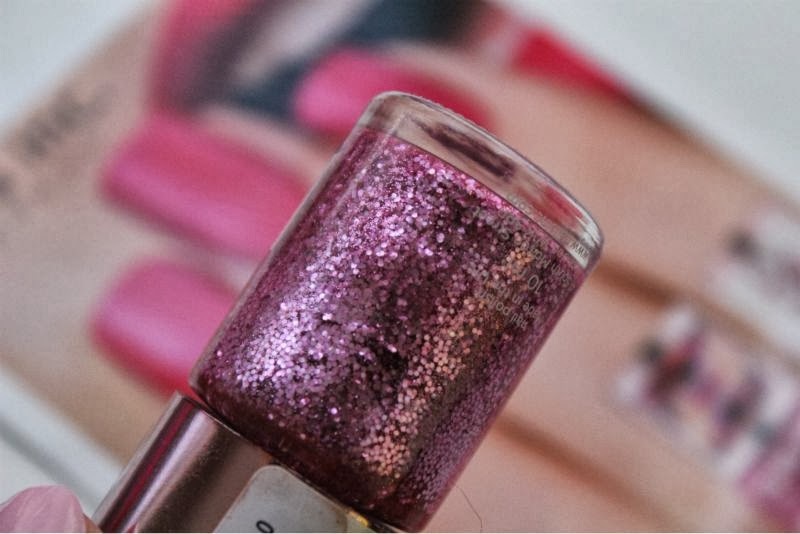 The polish itself is a light almost Barbie pink full on glitter polish which is opaque in two quick coats and dry exceptionally quick too which is always a bonus. Obviously as the name suggests "Pinkie Pink" is intended to be worn on the pinkie finger and in my experience (and opinion for that matter) it looks great teamed with any shade of pink polish. lol love it "like money aint a thang" YOU GO GIRL. 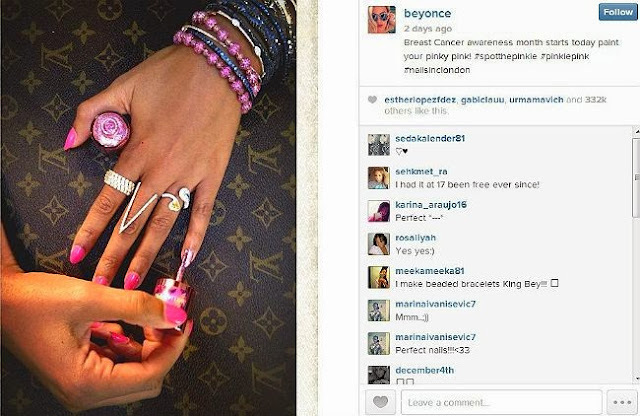 We in Poland don't have Nails INC, nevertheless this colour is lovely and great idea I'd buy it. I love the idea of this, and the shade is so pretty! 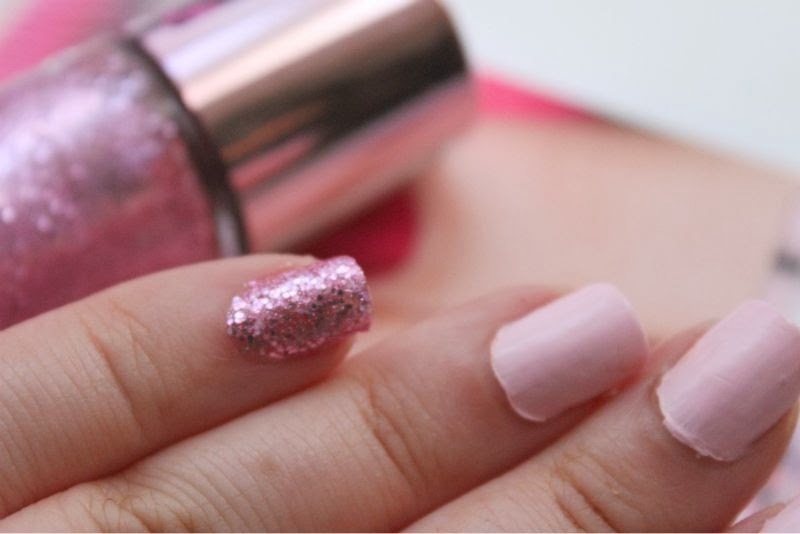 Sparkling and pretty Pink color looks great on nails. Its Girly choice ! !